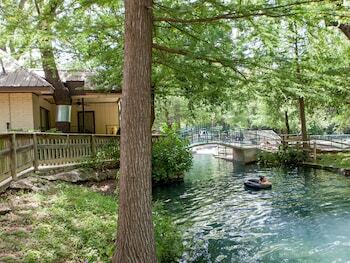 A stay at The Resort at Schlitterbahn places you in the heart of New Braunfels, steps from Schlitterbahn New Braunfels Waterpark and Resort and 5 minutes by foot from Christus Santa Rosa Hospital New Braunfels. 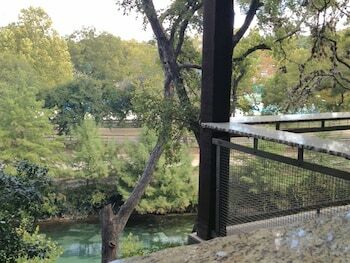 This resort is 0.6 mi (0.9 km) from Prince Solms Park and 1 mi (1.6 km) from Brauntex Theatre. 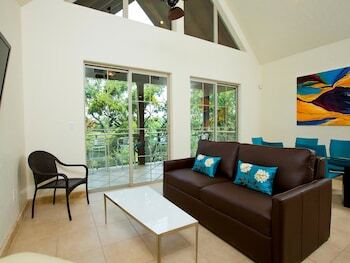 Make yourself at home in one of the 220 air-conditioned rooms featuring refrigerators and microwaves. Complimentary wireless Internet access keeps you connected, and cable programming is available for your entertainment. Private bathrooms with bathtubs or showers feature complimentary toiletries and hair dryers. Conveniences include coffee/tea makers and irons/ironing boards, as well as phones with free local calls. Take advantage of recreation opportunities such as a spa tub, or other amenities including complimentary wireless Internet access and concierge services. Additional features at this resort include gift shops/newsstands, a picnic area, and barbecue grills. 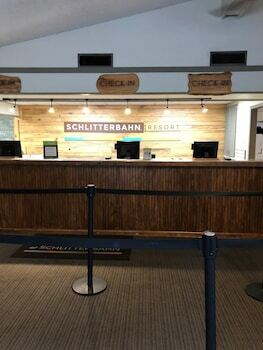 The Resort at Schlitterbahn is a 3.5-star hotel located at 305 West Austin St., New Braunfels, TX 78130, US . Its nightly price usually falls between $79.2 per night and $175 per night, excluding tax, depending on room category. $79 per night found for a Hotel Room Two Queen Beds room type. 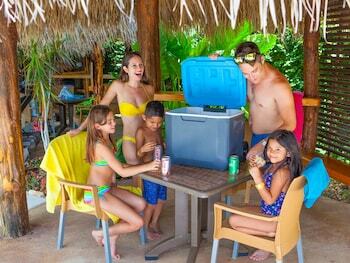 The Resort at Schlitterbahn sells rooms through sites like Room 77, Expedia, Hotels.com, GetARoom, and many others. Room 77 searches across dozens of different sites to find the lowest discount rates available. The lowest rate we've seen over the last few weeks was found on Room 77. In 1% of the cases we surveyed, all sites offered the same rate. You can compare real-time rates from all of these sites on Room 77. Room 77 is the only hotel shopping site that includes special discounts like AAA, senior, government, military, and corporate rates.